Even though I meant to post about this much earlier that by no means diminishes the absolute thrill I had when I received this. 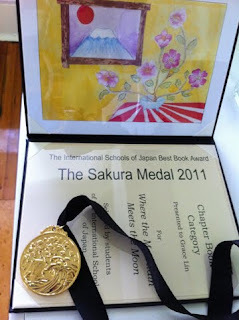 Where the Mountain Meets the Moon was given the Sakura Medal! This is an award given by International Schools across Japan. Arigato gozaimasu! Sign up for Grace's newsletter! 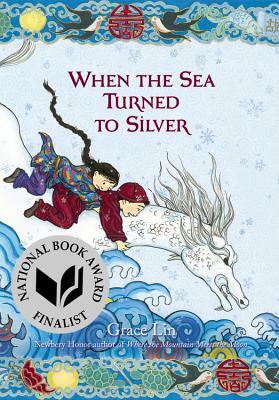 Don't miss Grace's newsletter! Sent only five times a year, the newsletter has a free book giveaway and a book recommendation, as well as lots of other fun news! Catch Grace at one of her events! Check and see if Grace will be presenting near you! Her EVENT CALENDAR is up and running and finally being updated regularly! 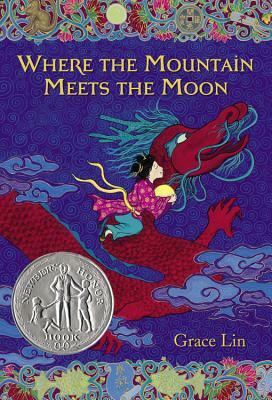 Companion to WHERE THE MOUNTAIN MEETS THE MOON and National Book Award Finalist! Me & WHERE THE MOUNTAIN MEETS THE MOON on the NBC's Today Show! 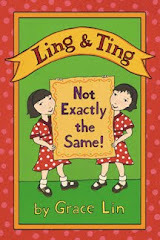 Ling & Ting: Not Exactly the Same!